This past weekend, was Yom Kippur, which is a solemn, reflective day to all Jewish people. Everyone thinks back over the past year and reflects on things that have happened, people that have passed and the deeds they have done. On this holiday, it is believed, everyone’s fate is sealed for the next year. We atone for our sins today and tomorrow we start the new year with a clean slate. It’s a new beginning, with new possibilities for us all. 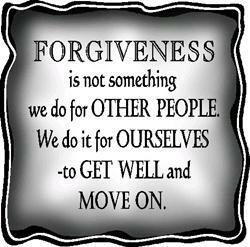 In the spirit of the holiday, I have forgiven someone close to me who has hurt me tremendously, on several occasions. I have been carrying around this hurt and annoyance and it was weighing me down. I decided that forgiveness was the kindest gift I could give myself to lift my spirit and I also felt it was a gift to the person I was forgiving. The person was very appreciative and apologized for the hurt and said that for me to forgive them, really shows that I am a special and understanding person. It felt good to forgive someone, really forgive someone for something big. We are always forgiving people for running 10 minutes late or for misunderstanding something we said or forgetting to wish us “Good Luck” on an important occasion. These are little things, that in the scheme of life are unimportant. But I felt like it was a cleansing to forgive on a greater scale. Forgiveness brought me peace of mind. So for now, I have let go of the deeply held negative feelings I had towards this person, but time will tell if positive ones will replace these newly released negative ones. 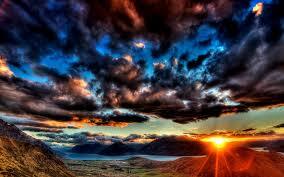 Forgiveness does not mean that I am forgetting what was done, nor does it mean I’m excusing the offenses. It means that I am no longer holding on to this negativity and that I am free to move forward into the new year with a truly clean slate.